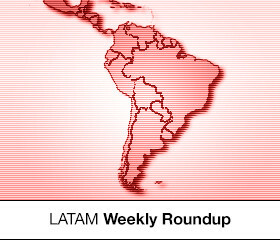 This week in the Latin American Roundup: DynAdmic launches AVOC metric in Brazil aiming to influence the online video market away of traditional complete CPV; a partnership between Adsmovil and In Loco Media in mobile apps advertising in Brazil and Latin America aims to explore indoor geolocation data; and, finally, a few hints on social media audience numbers during the Rio Olympic Games. Allied to Moat, the online video adtech DynAdmic announces the use of the metric AVOC (audible and viewable on completion) in Brazil for the first time. The metric was developed by Moat and certified by MRC (Media Rating Council), which means it meets audibility and viewability criteria when measuring digital ad campaigns results. With AVOC, advertisers can access data that allows them to evaluate the level of user interaction in their campaigns — including audio and viewability after the video has finished. DynAdmic claims that this launch is an important action in the Brazilian market, where the negotiations are still strictly tied to complete CPV. They also highlight that local players are starting to question viewability, opening an opportunity for the new measurement. “Visualisation analysis of a online video is evolving to a new level of demand and transparency. Our goal is to lead this change, allowing new business models that are more appropriate considering advertisers’ needs”, said Lara Krumholz, general manager, DynAdmic Latin America. DynAdmic is making AVOC available for managed service campaigns, self-service pieces, and programmatic media campaigns; but it is still in implementation stages by partner trading desks, such as Cadreon. Advertisers such as L’Oréal, the local telco Claro, and Renault are also implementing it. Adsmovil announced a deal with Brazilian startup In Loco Media. Whereas Adsmovil has been focusing in the hispanic market in the United States, In Loco Media was founded focusing on mobile apps, claiming to have more than 600 applications and 50 million active users in the countries where they operate. The partnership will allow Adsmovil’s clients to buy inventory in In Loco Media’s operations, covering both local and international apps. The platform emphasises its capabilities of geolocation for better targeting. “In Loco Media is an important partner for us because of their innovative platform in the Brazilian market. Their indoor geolocation technology allow retailers to understand the user behaviour in-store, so they can generate the best impact”, said Alberto Pardo, CEO, Adsmovil, in a statement. The companies have successfully integrated Adsmovil’s DSP and In Loco Media’s ad exchange. According to André Ferraz, In Loco Media, partnerships are one of their main tools to enhance their inventory and technology value. Facebook have released the first hint of user impressions data during key events in the Rio Olympic Games. During the opening ceremony on the 5th of August, Facebook and Instagram had more than 161 million interactions tied to the event, made by 73 million of accounts. Unsurprisingly, the host country Brazil is the country with the highest number of engagement metrics: 15 million users generated 40 million interactions. The country is followed by Argentina, Mexico, the United States, and Peru, at this order. On Facebook alone, users worldwide generated 109 million interactions about the games. Also, 52 million unique users were impacted. The top three hashtags by number of mentions are rio2016, olympics, and the Portuguese equivalent olimpiadas2016, respectively. Yet, it is still early to sum up all the numbers: Rio Olympics goes on until the 21st of August.